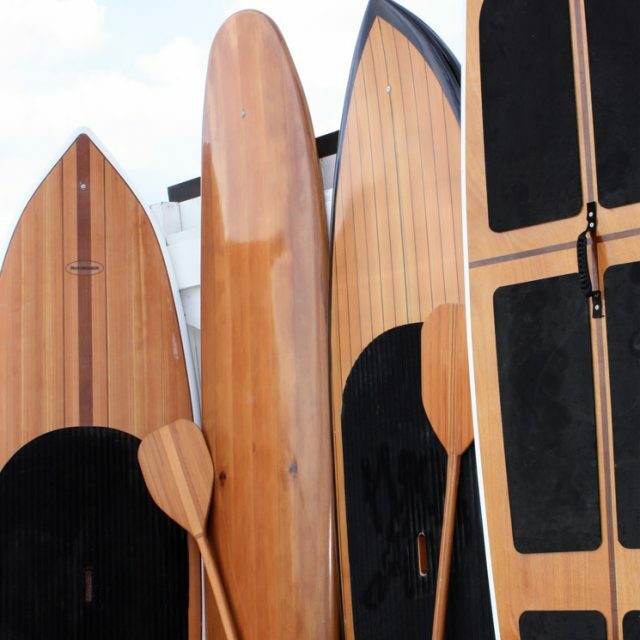 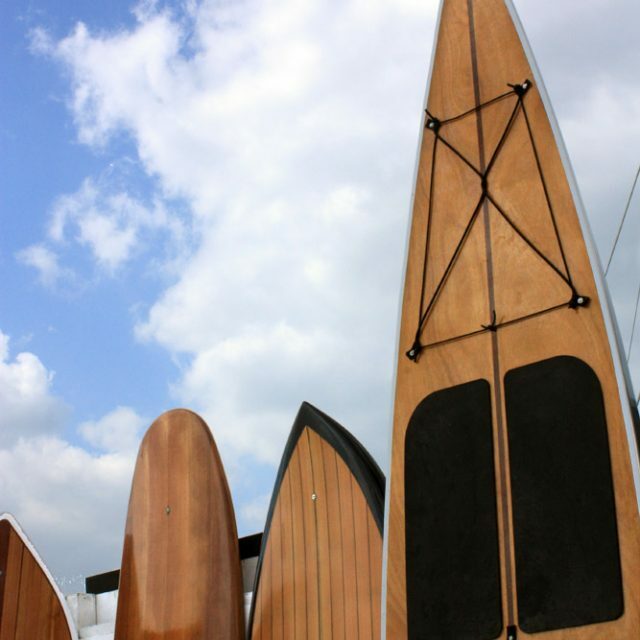 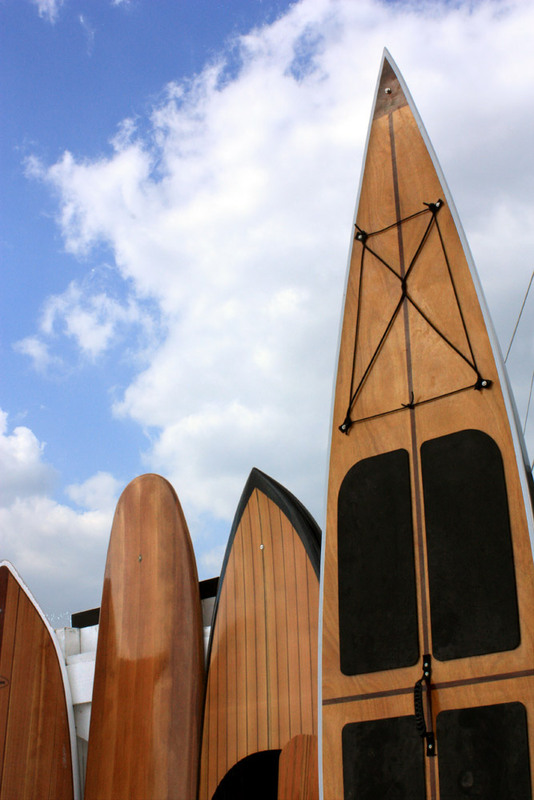 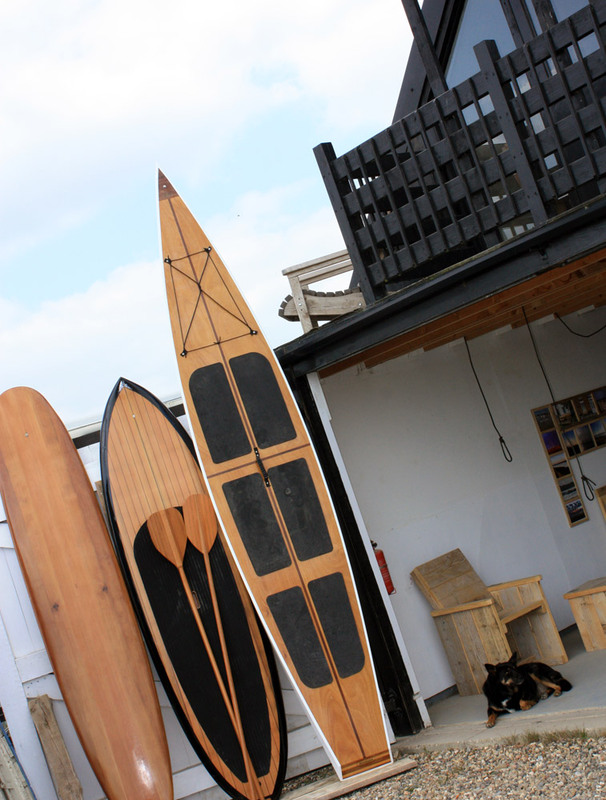 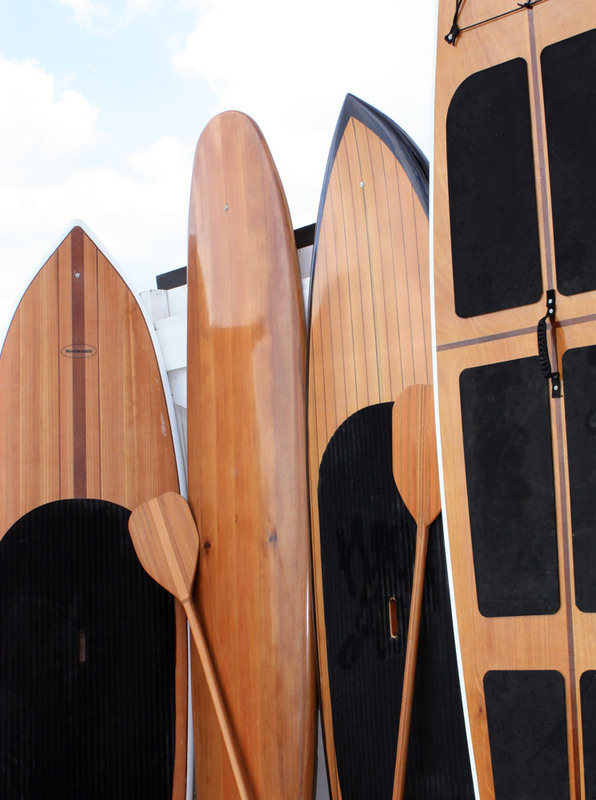 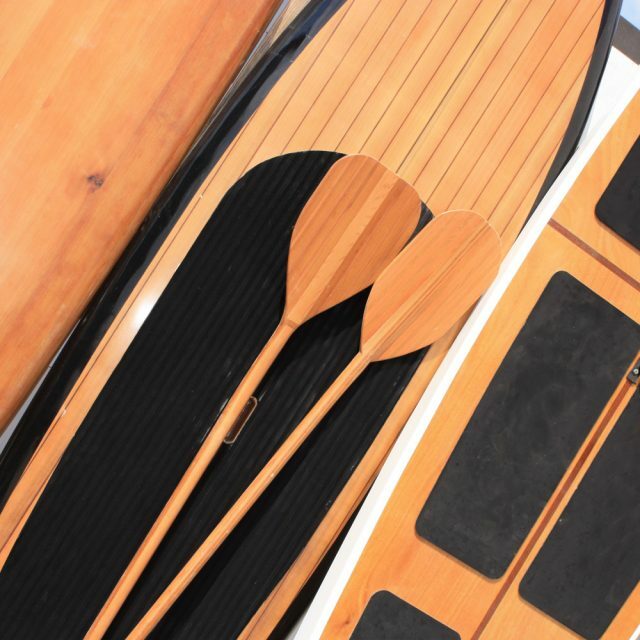 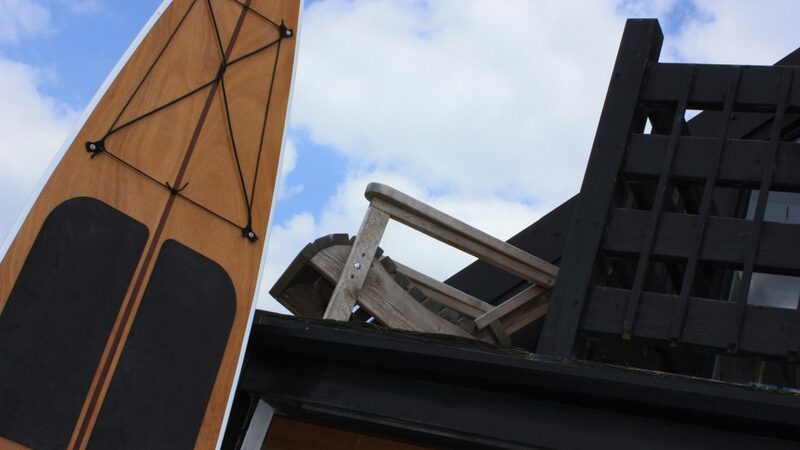 To make a hollow wooden surf or paddle-board requires vastly different techniques to fabricating rustic outdoor furniture. 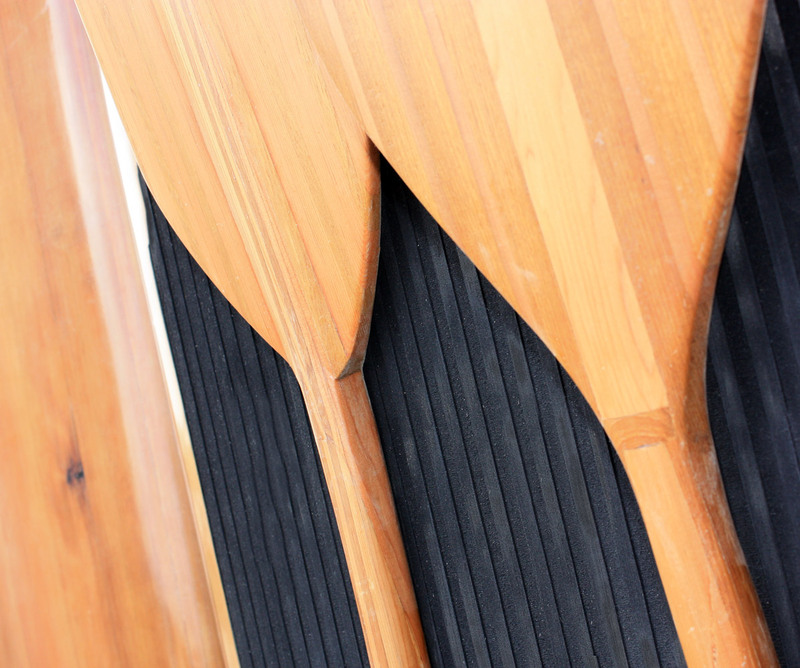 Board making is so much more precise and time consuming, and the timber used is new rather than reclaimed and of a very specific type. 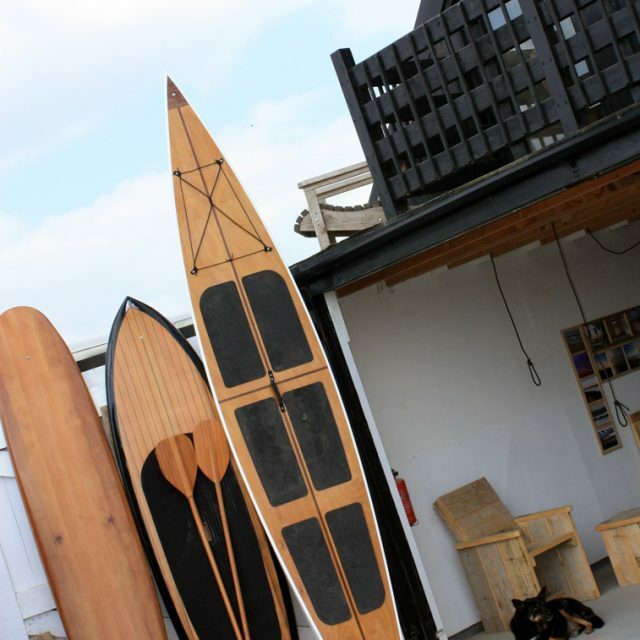 My most recent project was a board for a friend of mine in Holland. 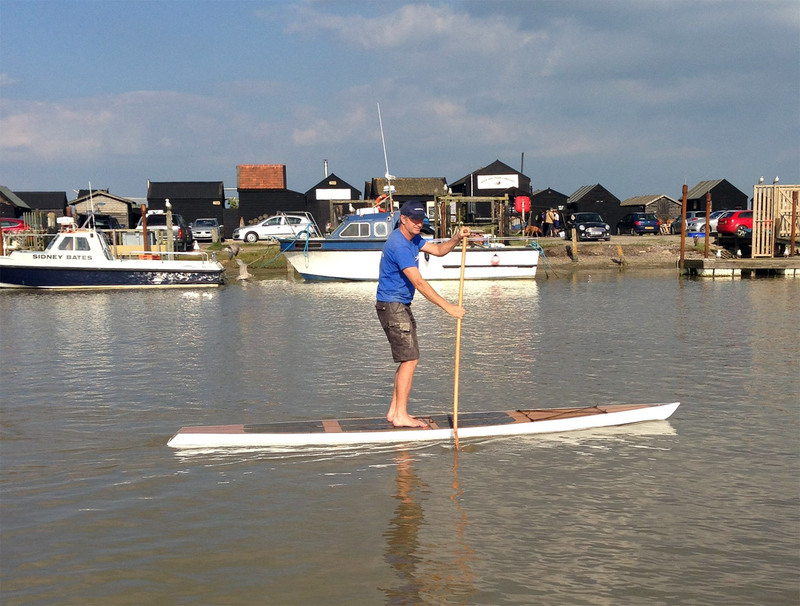 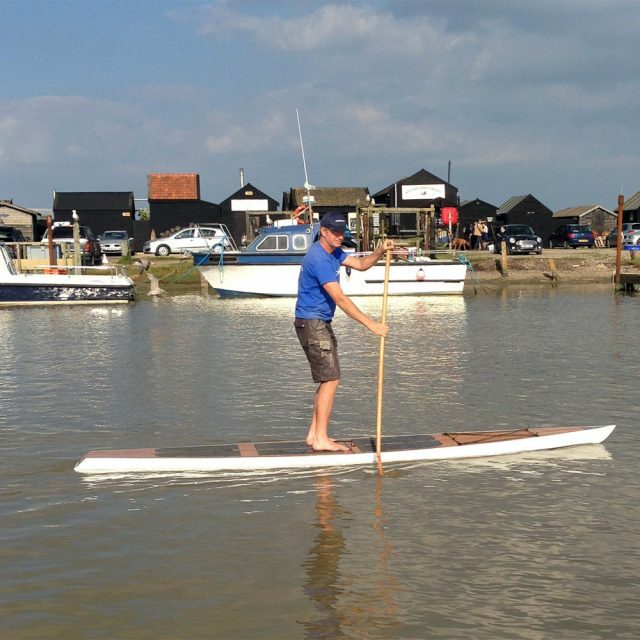 He had tried paddleboarding on holiday, and really enjoyed it, so when he got home he called me and asked me to make him one. 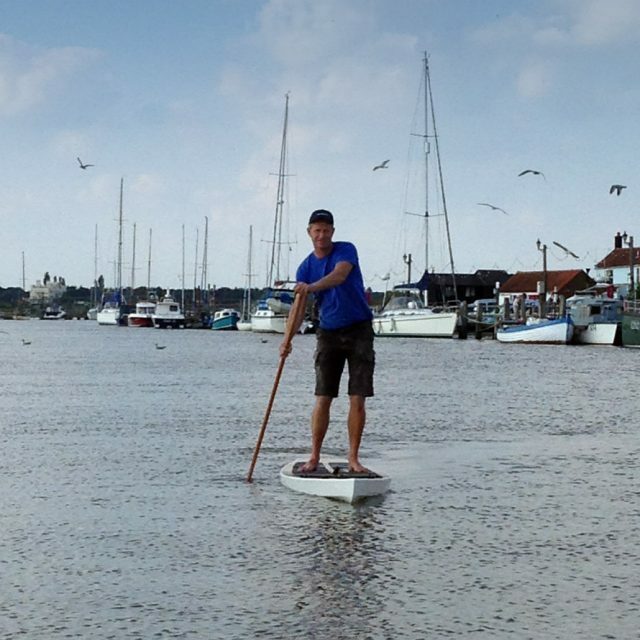 Taking into account Holland’s many small rivers and creeks, I decided the best option for him was a 14 foot cruising board with a displacement hull, which is very buoyant and stable and fast. 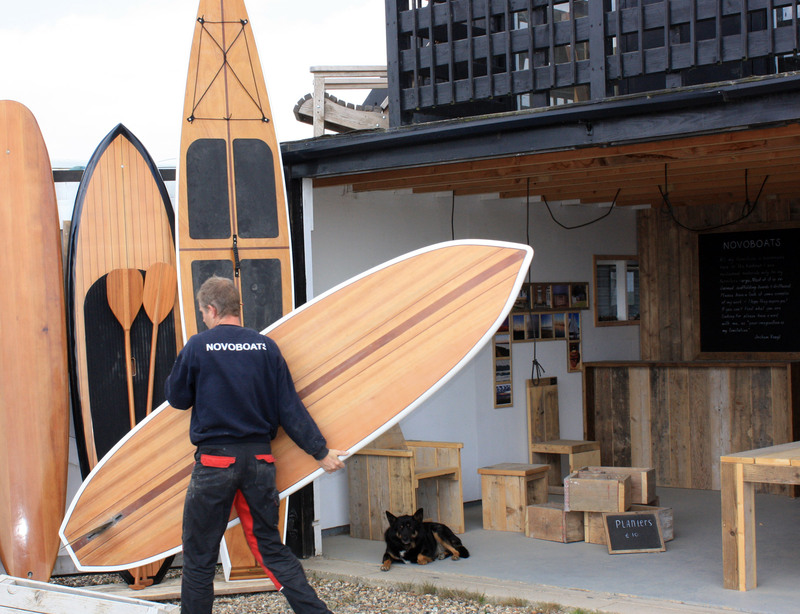 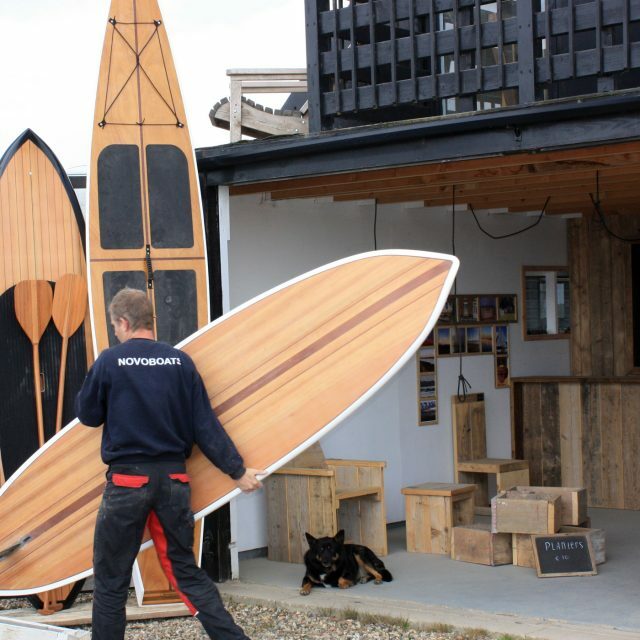 Constructed out of thin marine plywood, using the ‘glue and stitch’ method, the board is then fibreglassed using epoxy resin sealing the wood, and ensuring that it will last for many years. 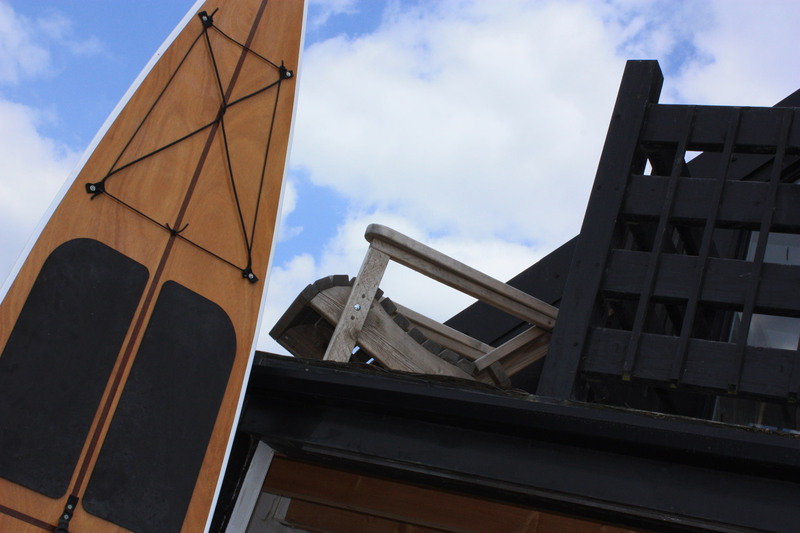 The finished board received several coats of varnish, a spray painted hull, and had elasticated cords attached for securing loose items as my friend paddles around Hollands canals . 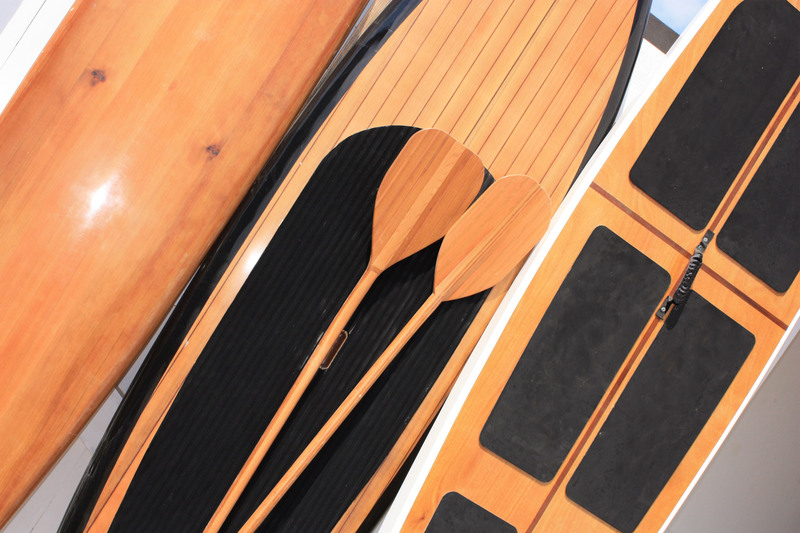 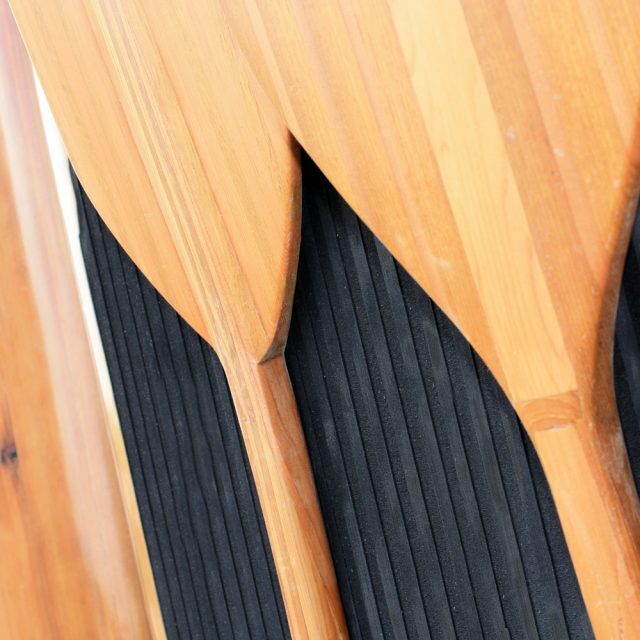 A beautiful paddle from made from a combination of cedar and teak complete a very stylish set of gear. I last spoke to him several weeks after delivery, and he has been out on it almost every day since, he loves it.